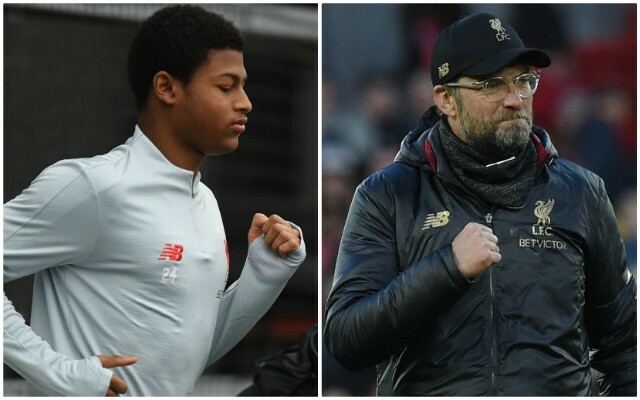 Jurgen Klopp channelled the delight of all Liverpool fans as he watched Rhian Brewster train among his teammates again on Tuesday. The striker has been sidelined since suffering ankle ligament damage at the beginning of January 2018, with the club’s medical staff having approached his rehabilitation with understandable caution. Brewster has made progressive steps with light running and ball exercises in recent months, but perhaps none more meaningful than his involvement in the club’s first Marbella training session. His participation will have likely been at a similar level to that of Alex Oxlade-Chamberlain, who took another step towards his comeback from a long-term knee injury. Brewster recently declared that he is now fit again as he eyes a senior debut on Merseyside at some point over the next 12 months. When discussing the teenager throughout his recovery period, Klopp has made no secret of the fact he is very much part of his long-term plans at Anfield.